Yesterday Tom and I took his niece to New York City for the day to visit her cousin (another niece). We met for lunch at Calexico then took a tour of the Kickstarter office where the Manhattan dwelling niece works. We were partially there to follow up on an upcoming Kickstarter project that Tom and I are working on (more on that soon...) and also to hang out in the city and do a lot of nothing in particular. The best kind of day. Along the way, we stopped into the Madewell store at Broadway and Broome. Last time we were there, the crowd inside had me running for the exit before I could make it up the staircase. Luckily a Tuesday afternoon visit meant a much smaller crowd and room to breathe. I'm always surprised at the pieces that catch my eye in the store verses the ones I like online. I guess that says a lot about the styling of the collections online. I didn't spy any fall pieces in the stores yet (thank goodness - it's too early) but I came home and looked it up online. The review I read stated the collection is full of classic pieces that you probably already have in your closet and demonstrates new ways to pair things up. That may be true, as I haven't seen anything yet that makes me feel like I have to have it. I do feel like I could dig around in my closet (or the thrift store) and find something similar to put together these looks. 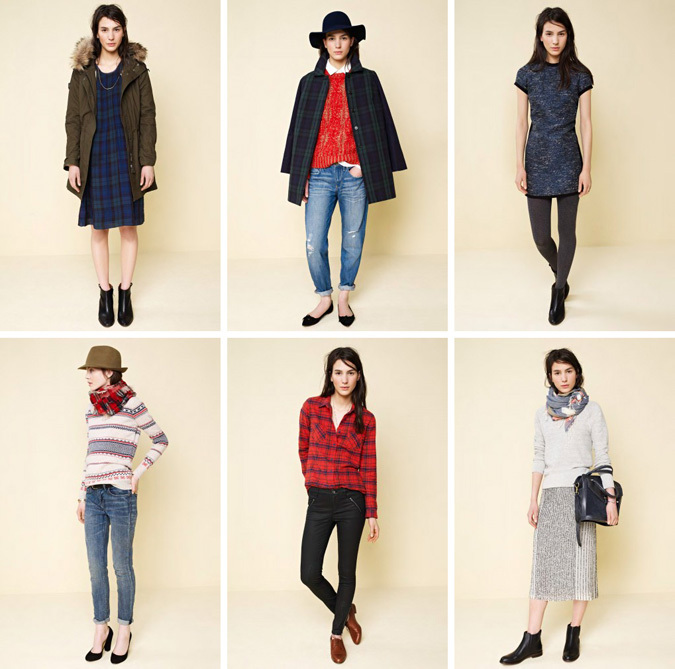 But then again, Madewell always has a way of stocking something that catches my eye. I'm sure something will find its way into my closet. As I mentioned last week, Tom and I made a road trip to Pittsburgh to see The National and on the way stopped by the Frank Lloyd Wright Fallingwater house for a tour. While on the tour we heard an old lady remark that it was "a nice place to visit but I wouldn't want to live there." Meanwhile, Tom and I were thinking the exact opposite. Although, I bet it sure is cold there in the wintertime. 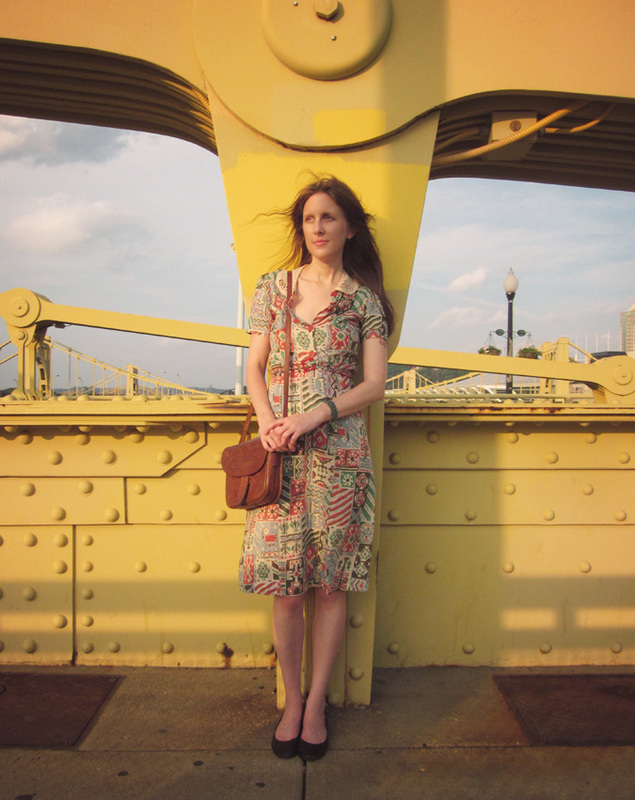 After our tour we drove into Pittsburgh and walked around to a few vintage shops. The shops were mostly packed with 70s era polyester and tacky prints, but I did manage to find a pretty white eyelet cotton skirt that came home with me. Perhaps there are better vintage shops there, but I didn't happen upon them. For lunch we sat at the counter at Primanti Bros. and watched sandwich after sandwich being assembled; fresh cut bread, grilled meat, cheese, fries, coleslaw, tomatoes, topped with another piece of bread. We had the cheese combo and the fries come right in the sandwich. We took an after lunch stroll around the river and across one of the sunny yellow bridges before heading over to the show. The National put on a great show and played a 22 song set that I didn't want to end. I was only slightly disappointed that they didn't play "Fireproof" since I wanted to hear my name in the song. But I was standing in the right place at the right time and during "Mr. November" Matt Berninger walked out into the crowd and I got tangled up in his mike cord and he ending up singing six inches from my face. Good times. We saw these guys play in Pittsburgh last night (road trip!) for the third (fourth?) time. Tom could tell you. We visited the Fallingwater house, ate cheese combos at Primanti Brothers, walked along the river and of course, went to the show. One of my favorite days. 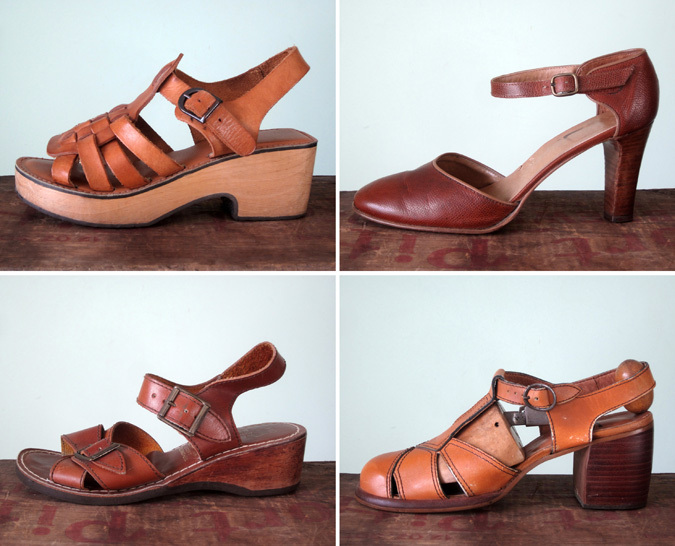 I've looked through Ingrid Starnes' archives all the way back to her beginnings and I haven't found a collection that I didn't like. They just keep getting better and better and the upcoming spring collection is no exception. 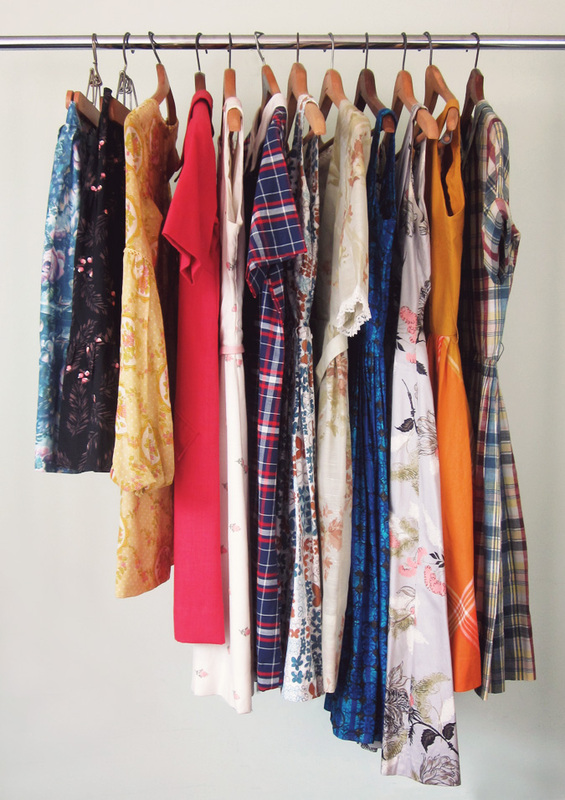 I want ALL of those dresses. I would love to find something similar while out thrifting. That would be quite a find! I'm entranced by Savages and can't wait to get the entire album! I can't stop watching this video (and they were amazing live on Jimmy Fallon). One of the nice things about exploring the National Geographic Found Archives is it leads me down paths of discovering loads of new photographers. Well, new to me, of course. I could spend all day Googling the names that appear under each photograph to see what other treasures await. One such discovery is Hans Hildenbrand. He was a German photographer best known for his color photographs of World War I. After the war, he was employed as a photographer by National Geographic. 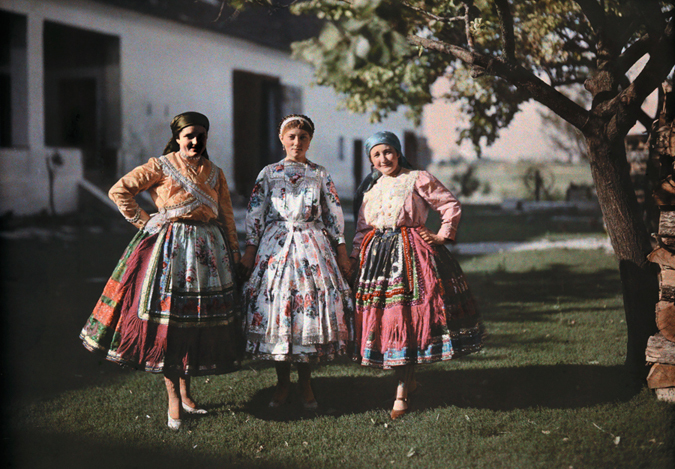 As seen in this sampling of photographs, his work took him all over Europe, from Hungary to Austria and from Germany to Switzerland. I love studying the details of the clothing in these photos. I love these romantic, deserted island worthy dresses from NYC based Candela. The designer, Gabriela Perezutti, spent her childhood on a ranch in Uruguay and her family roots shine through in the details of her work. She incorporates traditional equestrian and gaucho influences while keeping in mind the modern NYC girl. I would love to wear one of those maxi dresses on the hottest summer days.